In our most recent art picks we invite you to “keep calm and carry on” appreciating art. 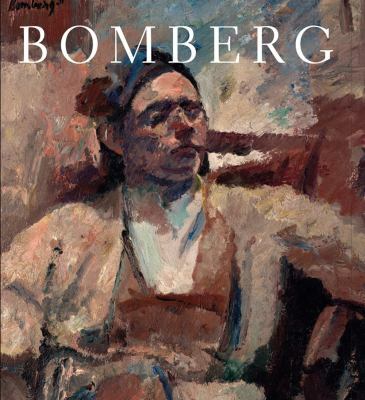 Whether your interests lie in 20th century artists such as David Bomberg and Mark Dion, instructional books, recounts of the influences of art or evolutionary tales of Manga through comics, cartoons and animation, or a WW2 slogan, we have quite the selection for you. The art of buying art : how to evaluate and buy art like a professional collector / Bamberger, Alan S.
For this selection of new art books we decided to take a look at beginnings, from prehistoric evidence of creativity and expression, to the early renaissance, right through to the more recent emergence of artistic collaboration or co-art. Whether it’s fashion illustration, the story of heritage paints and pigments, or learning to draw manga, you might find yourself beginning a new creative journey. Co-art : artists on creative collaboration / Ellen Mara De Wachter. Artist’s drawing techniques / senior editor, Georgina Palffy. The collector of lives : Giorgio Vasari and the invention of art / Ingrid Rowland and Noah Charney. Hokusai : beyond the great wave / edited by Timothy Clark. How to draw manga in simple steps / Yishan Li. The anatomy of colour : the story of heritage paints and pigments / Patrick Baty. Pipilotti Rist : Pixel Forest / edited by Massimiliano Gioni and Margot Norton. Traces of Vermeer / Jane Jelley. Start the New Year with lots of inspiring ideas found in this fabulous collection of new library books. Read about enchanting printmaking techniques for expressive mark making and unleash your inner artist. Have fun with crochet projects inspired by classic fairy tales or if you prefer knitting there are gorgeous ideas to add to your ‘To-knit list’ for this year. Enjoy the challenge! Printmaking unleashed : more than 50 techniques for expressive mark making / Traci Bautista. Crochet ever after : 18 crochet projects inspired by classic fairy tales / Brenda K. B. Anderson. Chunky knits : 31 projects for you & your home knit with bulky yarn / Ashley Little. Painting made easy / Mike Chaplin with Diana Vowles. July school holiday activities are here! Would your kids like to learn how to paint like a renaissance artist? 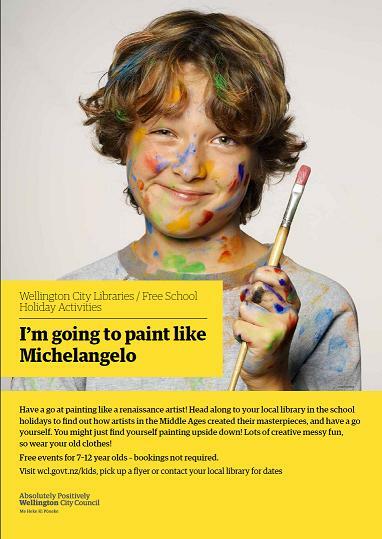 If so, head along to your local library in the school holidays to find out how artists in the Middle Ages created their masterpieces, and then there’ll be an opportunity for your kids to have a go themselves. They might even find themselves painting upside down just like Michelango – so lots of creative messy fun will be had (tell them to wear their old clothes!). These events are for 7–12 year olds – bookings are not required. 9 artists / [edited by] Bartholomew Ryan ; texts by Yael Bartana, Liam Gillick, Renzo Martens, Bjarne Melgaard, Nástio Mosquito, Natascha Sadr Haghighian, Hito Steyerl, Danh Vo. Yinka Shonibare MBE / edited by Rachel Kent. Magritte : the mystery of the ordinary, 1926-1938 / edited by Anne Umland ; with essays by Stephanie D’Alessandro … [et al.]. The global art compass / Alistair Hicks. Fantasy+. 5, World’s most imaginative artworks / Vincent Zhao. Gallery 1988’s crazy4cult : cult movie art. 2 / introduction by Seth Rogen ; [edited by Gallery 1988]. Art : everything you need to know about the greatest artists and their works / Susie Hodge. Face to face : Flanders, Florence, and Renaissance painting / Paula Nuttall. Damien Hirst : relics / curator, Francesco Bonami ; essays by Francesco Bonami, Abdellah Karroum, Michael Craig-Martin ; and an interview by Nicholas Serota. American mirror : the life and art of Norman Rockwell / Deborah Solomon. Balthus : cats and girls / Sabine Rewald. The Vatican : all the paintings / Anja Grebe ; introduction by Ross King. Cornelia Parker / Iwona Blazwick ; foreword by Yoko Ono ; introduction by Bruce W. Ferguson ; commentaries by Cornelia Parker. Francis Bacon : painting in a Godless world / Rina Arya. Boaz Vaadia : sculpture 1971-2012 / essay by Wendy Steiner ; foreword by Ivan C. Karp ; introduction by Anthony Brown ; artist Impressions by Boaz Vaadia. Zainul Abedin / edited by Rosa Maria Falvo, with essays by Abul Monsur, Nazrul Islam, and Abul Hasnat. The Bay Area School : Californian artists from the 1950s and 1960s / Thomas Williams. John Everett Millais / Jason Rosenfeld. Keith Vaughan / Philip Vann and Gerard Hastings. Mark Rothko : the decisive decade, 1940-1950 / Bradford R. Collins, editor ; [essays by] David Anfam … [et al.]. Master of stillness : Jeffrey Smart : paintings 1940-2011 / Barry Pearce. Paul Klee : life and work / text by Christine Hopfengart and Michael Baumgartner ; with contributions by Fabienne Eggelhöfer … [et al.]. Raphael : a passionate life / Antonio Forcellino ; translated by Lucinda Byatt.